The appointment of Solskjaer as Man United boss will represent a shift in culture, away from what had previously appeared to be an attempt by the club to recreate Real Madrid’s galatico model. Will take more than that to get him but I think this kid is unreal and in a better team I think he could show off more of his attacking attributes. Even with Dalot at the club I think Utd have to go for this kid. Would be a hell of a signing and RB is definitely an area we need to improve on. RB, CB, CM and I think a RW are all needed this summer. No excuses, no dithering about with money. Ed needs to back Ole. my only problem with this signing is, we alreday have a young RB with a suspected bright future, should we buying a proven player? Fair point... but could we move Dalot to LB? Or even RW? Think with 18 months in the league you can say he's a proven player now he's picked every week by Palace and is a stand out player for them in nearly every game. Dalot is a similar age but he looks nowhere near ready to play at full back in this league whereas Wan Bissaka does. If we aren't buying a RB in the summer then Dalot has to be the starter next season if he doesn't play he won't progress. Spot on bud spot on. 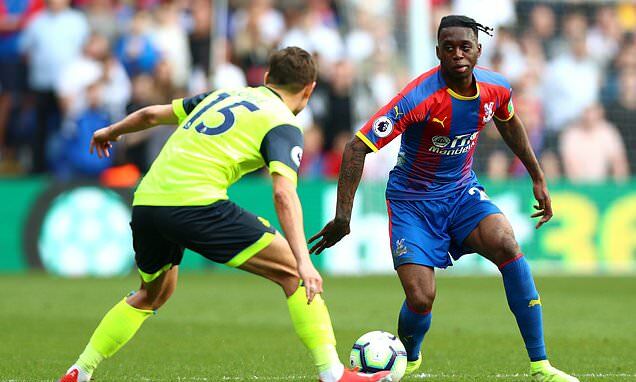 Think the game last night just intensified the thoughts that we should be doing all we can to get AWB in the summer. Would take a very good offer but we need to nail down this right back slot because we cannot have Young no more. If we bought AWB, would that mean Dalot is backup ? or is there a possible chance for him to play further up the pitch maybe ? Ole seems to prefer Dalot further forward and he has a great cross on him. What are people’s thought on him defensively. I do like the look of the kid but I don’t know if he’s gonna make it at RB at the top level. Looks more comfortable when he’s further forward. He's still very raw but I think he has bags of potential, I wouldn't mind seeing him have a few games further forward, but then comes the problem of if he plays well there, do united do their normal trick and scrimp by not buying a natural right sided attacker ? Having said that, I really do believe that we could see a lot of new arrivals in the summer, but im not getting my hopes up too early. He does look comfortable further forward, he’s obviously still learning his trade on the defensive side of things but not sure if he looks top class in either defence/attack - although he is still young and raw. He could well end up being a utility player, someone who can operate all down the right side. But for me bringing in another right back is essential this summer. Issue with him playing further forward is in a 4-3-3 does he score enough goals? Got a good cross on him but these positions in the modern game are more about scoring 15-20 a season and creating. I'd actually play Dalot further up field and let him develop there. He's got a lot of pace and skill and wants to get at players so try him RW?